Some time ago, Mag kindly gifted me with this Nfuoh Nail Lacquer #54. 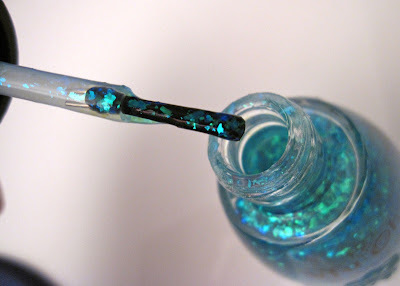 This is truly the prettiest flakie nailpolish I've come across. The irregular flakies shift from bright emerald to a rich blue that positively glows in the bottle. 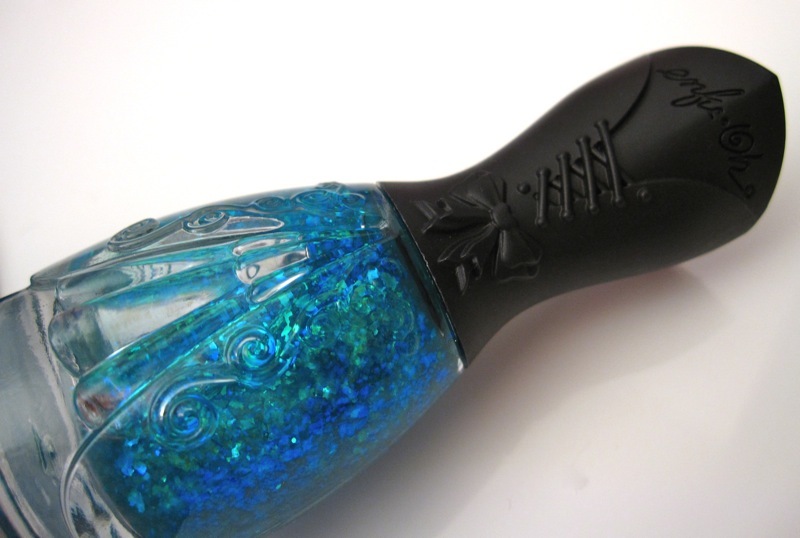 The bottle is a curious oddity with the cap taking the form of a decapitated torso with corset strings on the back with a dainty bow. The formula is a bit thin but makes for easy layering without any bumpiness. I applied two coats of it over Essence Nail Polish #07 Bashful from the Snow White collection. 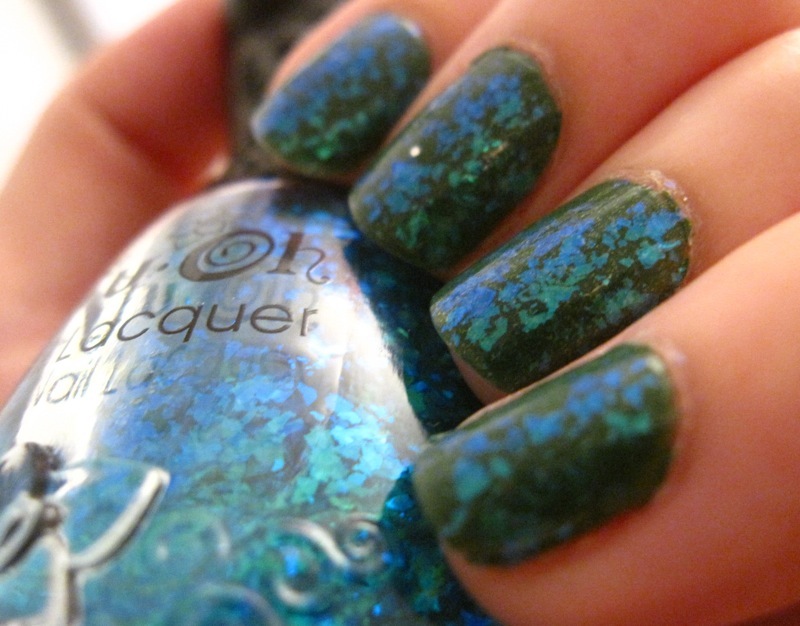 Nfuoh 54 added a nice depth and complexity that is not as garish as crackle polishes. Thanks once again to Mag for another beauty gem! Wow! Nailpolishes seem to be getting better and better these days. Very pretty! 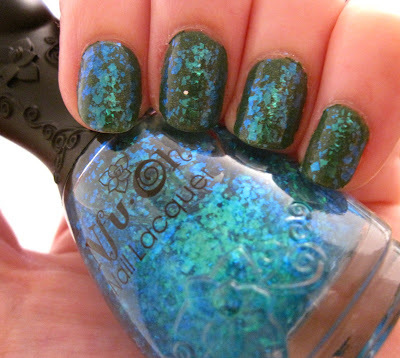 I just received my first order of Nfu Oh polishes this week and I'm in love! I'm wearing 53 right now. Not only are these my first Nfu Ohs but my first flakies as well. I'm addicted! the flakies are really one of a kind. the color shift is truly beautiful! I have this and love it! 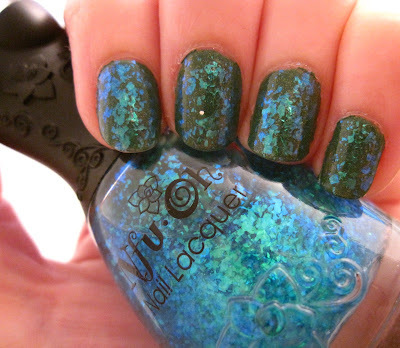 Nfu Oh flake polishes rock. You're very welcome, dear! It looks lovely on your nails. Glad you're enjoying this polish; one of my faves!! 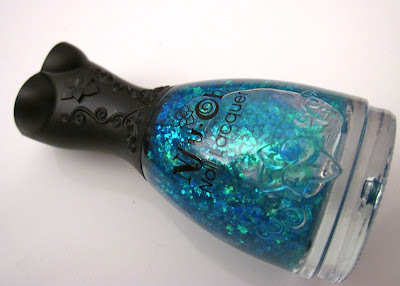 Looks like a limited Anna Sui polish!